The Shinobi master is deadlier than ever! Joe Musashi’s sworn enemies, the Neo Zeed, have returned! Controlled by Shadow Master, a formidable ninja cloned from Joe’s own bloodline, the syndicate holds the city captive with its vicious crime ring. Utilize deadly weapons and lethal ninja arts in order to stand against the hordes of bio-ninja and save your city! 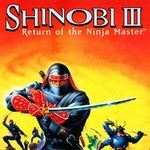 From taking out robots on the back of a surfboard to boulder-hopping down a near-bottomless chasm, Shinobi III offers a variety of experiences that will put your skills to the test. 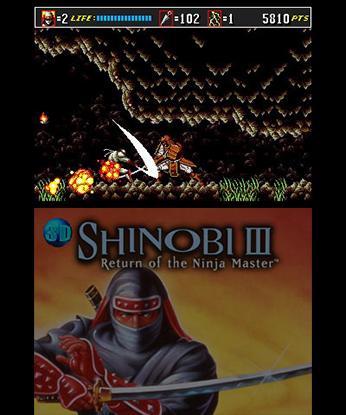 Shinobi III stands as one of the best Genesis games out there, and one that didn't really receive the attention it deserved during the ugly console wars of the early 90s. Pick it up and prepare to be surprised -- 20 years later, it's still an astounding take on ninja action. In some respects it's arguably superior, offering better visuals and more variety thanks to its horse-riding and surfing stages. This is one of Sega's best 16-bit action titles and a very solid addition to M2's fantastic 3D Classics line, which is fast becoming a goldmine of vintage gaming on Nintendo's portable system. Se este puxar de carta do baralho pela mão da M2 pode levar a SEGA a perceber quanto ainda pode fazer pela série, então que não se assinale este regresso apenas uma celebração nostálgica, mas como um ponto de partida. 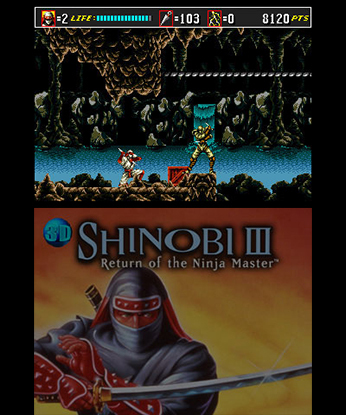 3D Shinobi III: Return of the Ninja Master é uma óptima forma de apreciar um dos melhores jogos da Mega Drive em formato portátil. Todas as pequenas nuances introduzidas pela M2 irão agradar aos fãs das aventuras de Joe Musashi mas, com a excepção do esquema de controlo Expert Ninja, não são de grande relevância. 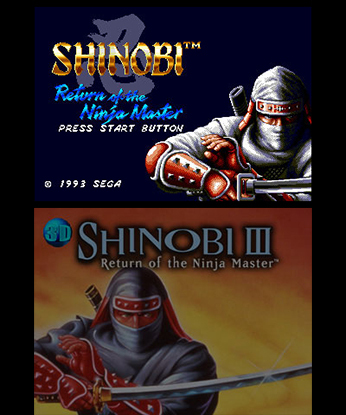 Ainda assim, este pormenor não deve servir como desculpa para se privarem de um clássico intemporal como é Shinobi III. Il titolo però non è perfetto e porta con sé tutti gli stilemi classici, ormai forse demodé, del suo genere di riferimento. Non è quindi un gioco per tutti ma pare piuttosto indirizzarsi ai curiosi che vogliano fare un passo in più verso il retrogaming, con l'aggiunta dell'effetto 3D della console portatile Nintendo. Di sicuro più interessante delle solite versioni Virtual Console.